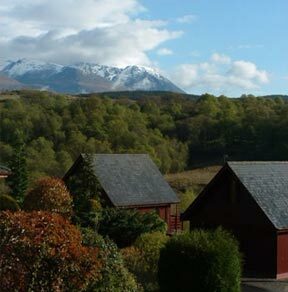 Gairlochy Holiday Park is situated near Spean Bridge at the south end of the Great Glen, on the B8004 between the Commando Memorial on the A82 and the Caledonian Canal. The canal is ten minutes walk and this is where you can join the Great Glen Mountain Bike Trail or the Great Glen Way if you wish. Loch Lochy is approximately ten minutes walk and free fishing is available. Day trips are also a firm favourite with our visitors. Our central location near Spean Bridge makes it possible to reach Skye, Mallaig, Inverness, Oban and Aviemore in just over an hours drive. For those with a little more time, there are countless quiet peaceful glens and byroads to be explored at your leisure. Mountain climbing and walking must not be forgotten, with a choice of various heights to cater for the gentle walk, climbing the highest mountain in Britain or bagging a few Munroes. The caladonian canal is just a very short walk away. It's a perfect base. We stayed & visited Loch Ness, Fort Augustus, Mull, Fort William, & Glenfinnan.